Today 2.5 billion people, one third of the world’s population, can’t see clearly compromising their ability to learn, work and be safe. In addition, if current trends continue 5 billion people – half the world’s population – will suffer from myopia by 2050. Yet regular comprehensive eye exams, performed by eye care professionals, are often overlooked as a basic health check up. 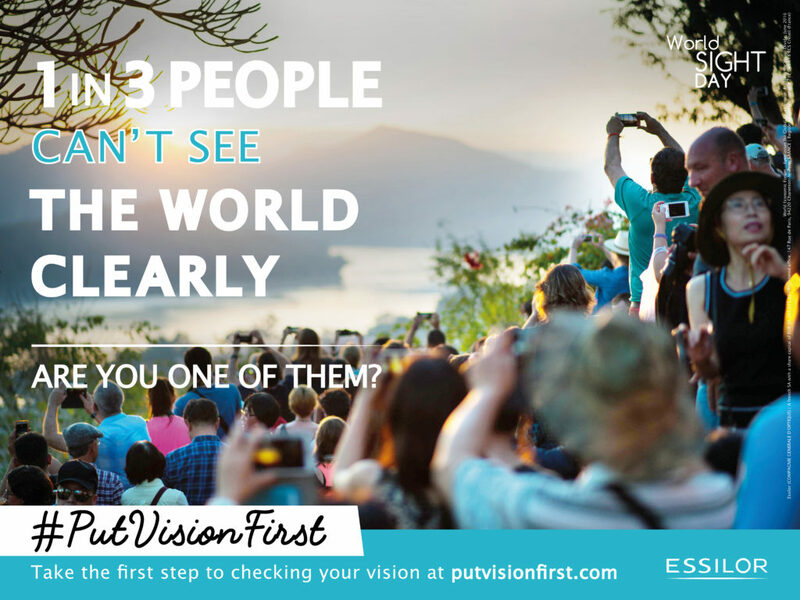 This World Sight Day, Essilor set out to change that by raising awareness of the real life impact of uncorrected poor vision and encouraging people to prioritize their eye health through the campaign “#PutVisionFirst”. 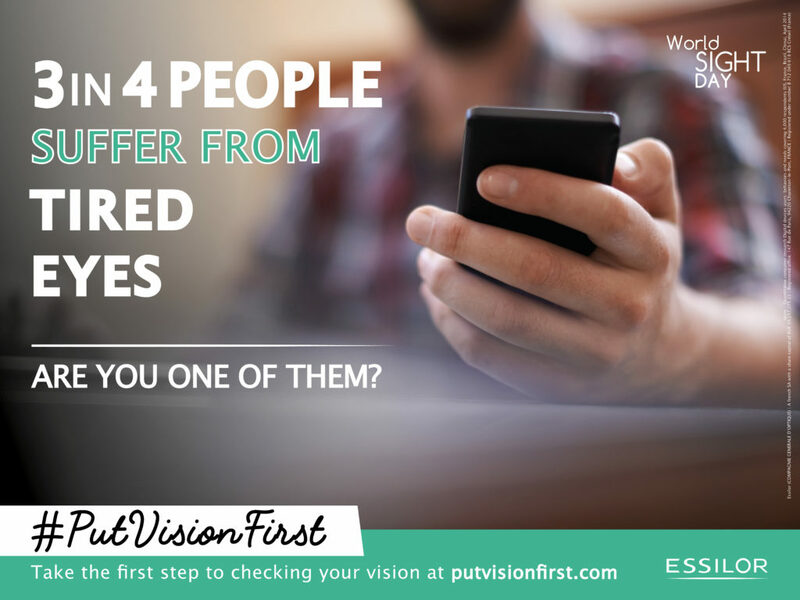 #PutVisionFirst is a global campaign, to create awareness about the importance of good vision and the need for everyone to visit an eye care professional for regular vision checks. 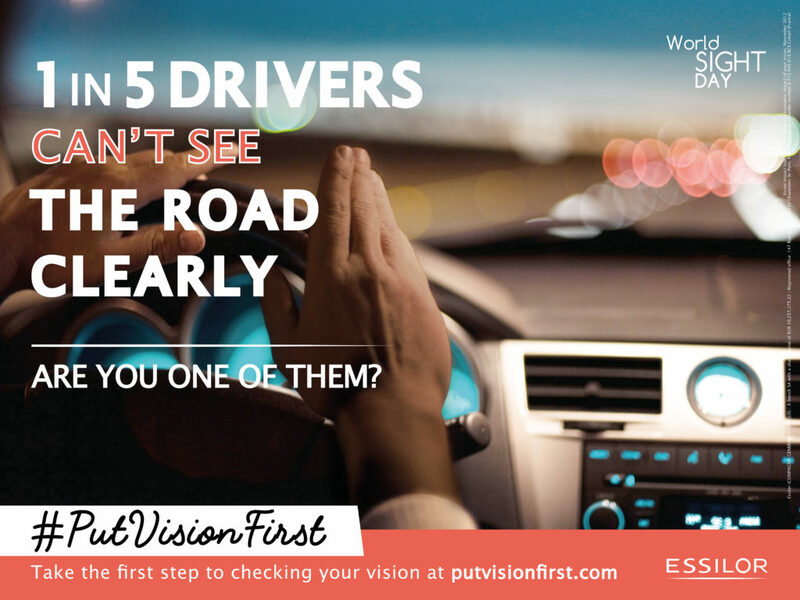 Thanks to the recently launched website, www.putvisionfirst.com, available in nine languages, everyone can take the first step to checking their vision through online vision tests. 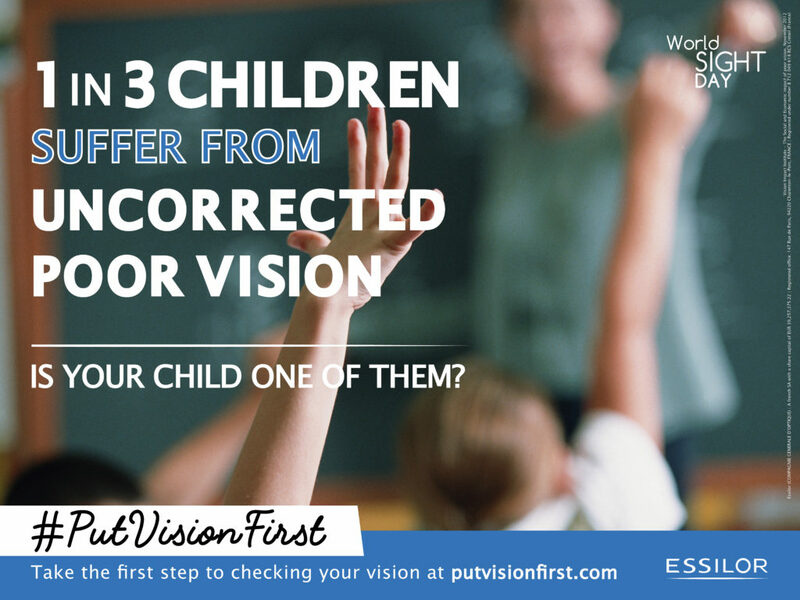 For each user detected to have a potential vision problem that commits to following up with a comprehensive eye exam from an eye care professional, Essilor will donate $1 on his/her to vision programs for children. 1 in 3 children can’t see the board clearly. This considerably impacts their academic performance as 80% of all learning occurs through our eyes. $272 billion. This is the annual cost of lost productivity to the global economy due to adults with uncorrected poor vision struggling in their work. 1 in 5 drivers can’t see the road clearly. This brings unnecessary danger to roads as 90% of decisions made behind the wheel depend on good vision. #PutVisionFirst is Essilor’s latest contribution to create awareness for and action against the global health crisis that poor vision presents. Last year on World Sight Day, through a series of events and almost 100 partners, a record number of 60,000 eye tests were carried out across over 50 countries by our volunteers. This year, we will again mobilize our teams around the world to celebrate this day and make it a success – particularly for those who are not aware of the importance of good vision and don’t have access to it. World Sight Day is an annual event set up by the World Health Organization in 1998 to draw international attention to visual impairment issues. It takes place each year on the second Thursday of October.